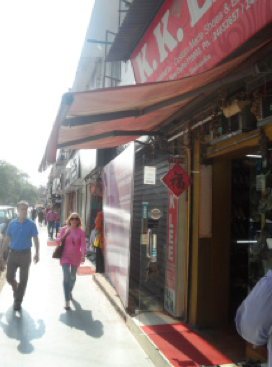 A day in Khan Market in Lutyens' Delhi, I entered a shop which read K.K. LEE. In that sunlit day, with the positive spirits that had touched my gaze already, I could greet the shine and grace of leather shoes and bags at the first. I have to admit, I was in love with their style of craftsmanship. Next to me, a lady entered the store and she appeared to me as a regular customer. Having a good knowledge of the shop and their work, she interacted with the attendants and finally got what she was looking for. Merriment on her face, she left the shop after paying the bills and in this time, the sweetness of the shopkeepers brought a smile to my face. The lady who had just left in hurry, came back with her mother to get another pair of shoes for her and in addition she had placed another order of shoes for her son. Also, the interesting thing was that her son wasn't there with her, but she could make the shopkeeper understand what kind of shoe she was looking for, and enquire if the size of the shoe being offered for her son would fit in correctly! Being assured, the lady went back with three pairs of shoes. It was then, that I wanted to talk to the kind man who was also the shop owner. Mr. Richard Lee and his brother, Mr. Kenneth Lee gave me a background about their shop. K.K. 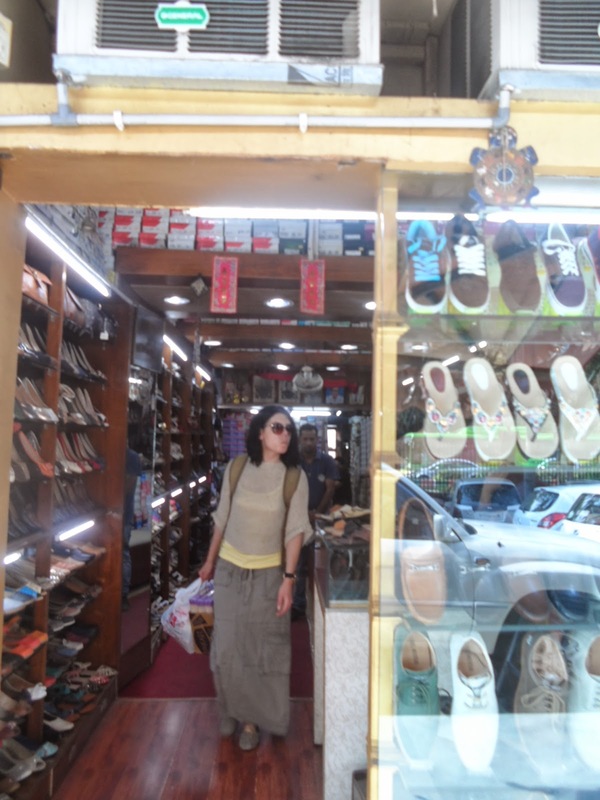 Lee is a Chinese shoe store and it is amongst the oldest stores of Khan Market. It is over sixty years old. The store consists of self-made, women's and men's footwear leather accessories comprising of wallets, belts, handmade bags. Their very speciality is that, they keep all custom made products. The different styles in shoes that catch one's gaze, cast a light at the dedication and interest with which, the shop has maintained its long standing prestige. Time is given to every customer, to help them get the best fit for their choice and interests. Another lovely thing about them is the lovely attention that they give us, letting us know about the artisanship. I had spent around half an hour in their shop and it never happened to me, that I was a stranger to them; we were friends in that little time we spent. Not only because I got to know about the Peshawari Chappal, and likewise many new names which I hadn't known existed in the differentiation of the sandals. It was getting to be a day well spent and at the right place with beautiful people. They asked me to come again sometime, and yeah learn more about their artisanship. 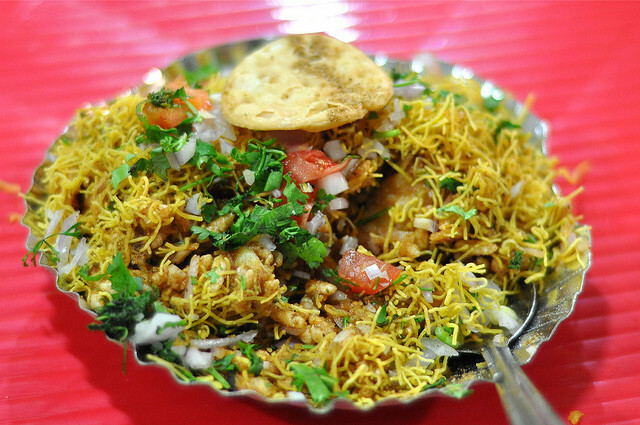 Meanwhile, the colours, the purity and the love that was draped on their products, lingered and connected a chord in my heart to praise and cherish for a long-long time to be. I look forward, to buy my next pair of shoes from K.K. LEE because it felt happiness to just be there in the august environment. The best of Artist Address~ 3. Some lessons from the day..
they were different, yet lovers!